The Romeo y Julieta Churchill is considered THE Cuban Churchill by many purists. This substantial cigar is rustic, almost feral in quality. Initially, exclusively produced for Winston Churchill during World War II, the Churchill is a robust and complex cigar. It is rich and powerful, especially in the middle phase of the smoke which is where it gained its considerable reputation. 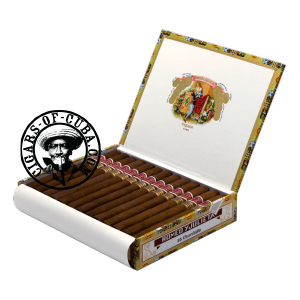 A demanding Classic Cuban cigar, for the experienced smoker. Earthy and woody animated by jovial hints of Christmas spice. The finest and most famous of the Cuban Churchills.